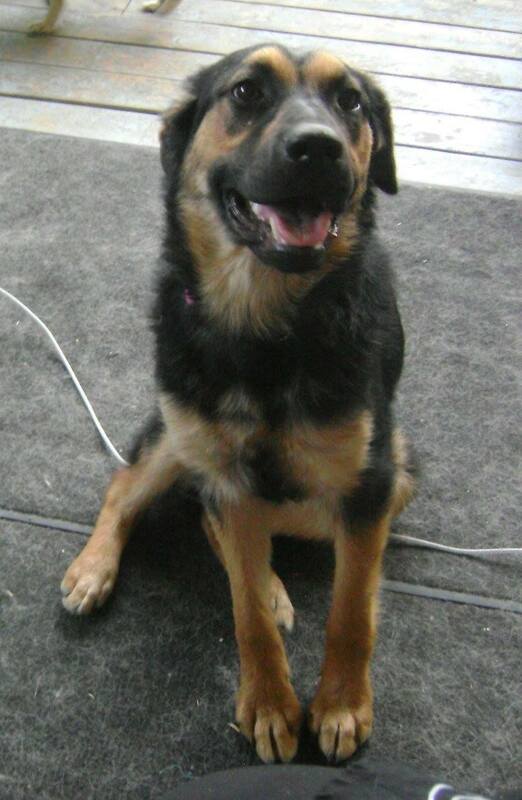 Daffodil is a shy, female shepherd cross. Hello – I am “Daffodil” from YARN’s Flower Litter… I am about Eight Months old. I grew up outside – but I have spent the past couple of months learning how to live in a house at YARN Nursery in Watson Lake. My four sisters and I were very shy when we were first surrendered, and I will become shy again when I am with new people, but once I get to know you a bit – I will give it up. It’s getting easier all the time. My ideal home would be a patient family, to help me finish getting over my fears. It would be great if they are active to keep me engaged and healthy. Another dog would be great – and maybe some kids of my own…? My sisters turned out to be just fine with cats, so it is likely I would be, too. I am still in Watson Lake at YARN. We could try a foster with intent to adopt, if you wanted to try me out. I just need a foster to go to, before YARN finds me a ride to Whitehorse. If you are interested in adopting me, you can submit an adoption application.